The Cisco Aironet™ 4800 Wi-Fi access point is highly versatile and delivers the most functionality of any access point in the industry. The Cisco Aironet 4800 Access Point is packed with an abundance of features that offer users a better experience, top-notch security, and high-speed connectivity. The Aironet® 4800 makes troubleshooting easier and enhances the context shown in Cisco DNA™ Assurance. The access point’s functionality is spread out over four internal radios, so these features run simultaneously over your network. The Aironet 4800 expands the current rich capabilities of our current Aironet portfolio (with features such as built-in Flexible Radio Assignment, Hyperlocation, and Bluetooth Low Energy [BLE]) and adds a fourth internal radio to provide rich performance and location and security analytics. With more radios embedded in the access point, your wireless network achieves higher security and data analysis without degrading performance—you’ll never again have to trade security for network performance. For starters, having a fourth radio allows the BLE and security monitoring functions to run on their own individual radios, while the other two radios tend to the business of providing exceptional Wi-Fi. This level of visibility provides IT more powerful capabilities to help ensure the user experience for productivity and engagement. Best-in-class RF architecture that provides high-performance coverage for a high density of client devices, giving the end user a seamless wireless experience. Features include custom hardware in 802.11ac Wave 2 radios, Cisco CleanAir®, Cisco® ClientLink 4.0, cross-access point noise reduction, and an optimized client roaming experience. Provides uplink speeds of 2.5 Gbps and 5 Gbps in addition to 100-Mbps and 1-Gbps speeds. All speeds are supported on Category 5e cabling for an industry first, as well as 10GBASE-T (IEEE 802.3bz) cabling. Intelligent Capture probes the network and provides the Cisco DNA Center™ with deep analysis. The software can track 240+ anomalies and instantaneously review all packets on demand, emulating the on-site network administrator. With this data, administrators can make more informed decisions on their wireless networks. The software basically “senses” all packets instantaneously and sends all that information back to DNA Center for deep analysis. ● 2.4-GHz and 5-GHz mode: One radio serves clients in 2.4-GHz mode, while the other serves clients in 5-GHz mode. ● Dual 5-GHz mode: Both radios operate on the 5-GHz band, maximizing the benefits of 802.11ac Wave 2 and increasing client device capacity. ● Cisco DNA Assurance network sensor: Provides proactive network monitoring, detecting network issues before your user does. An ultraprecise location solution that combines Wi-Fi and BLE technologies to pinpoint beacons, inventory, and personal mobile devices. Dedicated security monitoring: Dedicates your security radio to scan both 2.4 GHz and 5 GHz for Cisco CleanAir non-Wi-Fi interference, security threats, and rogue devices as they join the network. Proximity technology to enhance location services for mobile devices. Enables both Wi-Fi radios to operate in 5-GHz client serving mode, allowing an industry-leading 5.2 Gbps (2 x 2.6 Gbps) over-the-air speed while increasing client capacity. Uses dedicated hardware acceleration to improve the performance of line-speed applications such as Cisco Application Visibility and Control. Cisco ClientLink 4.0 technology improves downlink performance to all mobile devices, including one-, two-, and three-spatial-stream devices on 802.11a/b/g/n/ac, while improving battery life on mobile devices such as smartphones and tablets. Cisco CleanAir technology, enhanced with 160-MHz channel support, provides proactive, high-speed spectrum intelligence across 20-, 40-, 80-, and 160-MHz-wide channels to combat performance problems due to wireless interference. A Cisco innovation that enables access points to intelligently collaborate in real time regarding RF conditions so that users connect with optimized signal quality and performance. 802.3ad (Link Aggregation Control Protocol [LACP]) compliant, allowing both Ethernet interfaces to automatically enable LAG, increasing overall throughput to the access point. Flexible deployment mode through the Cisco Mobility Express solution is ideal for high-density environments and can support up to 100 access points. Easy setup allows the Aironet 4800 to be deployed on networks without a physical controller. Apple and Cisco have partnered to create an optimal mobile experience for iOS devices on corporate networks based on Cisco technologies. Using new features in iOS 10, in combination with the latest software and hardware from Cisco, businesses can now more effectively use their network infrastructure to deliver an enhanced user experience across all business applications. At the center of the collaboration is a unique handshake between the Cisco WLAN and Apple devices. This handshake enables the Cisco WLAN to provide an optimal Wi-Fi roaming experience to Apple devices. Additionally, the Cisco WLAN trusts Apple devices and gives priority treatment for business-critical applications specified by the Apple device. 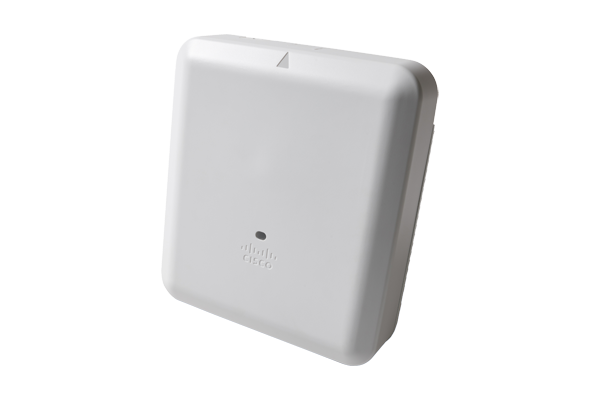 Download the Cisco Aironet 4800 Access Point Datasheet (PDF).